Dakota brings back the Wild West epic to life, allowing you to experience the conflict that opposed the culture of the European settlers to that of the Native Americans. Each player cooperates and competes with all the other players, collecting natural resources which have different values for settlers and natives. The settlers try to exploit the land in order to make it productive for industry and agriculture, while the natives must make all efforts to keep the territory virgin as long as possible, while at the same time using resources for the prosperity of their own tribe. 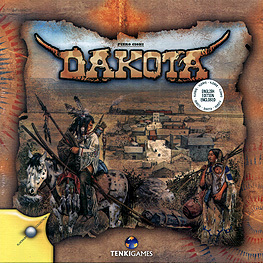 Dakota is a game with linear mechanics and a great attention to the theme.